Lexington tattoo removal clinic, Inkundu, wants to help their patients answer the most often asked question, "is tattoo removal painful"? Lexington, Kentucky- Inkudu, Lexington Kentucky’s premier laser tattoo removal clinic has announced a guide on dealing with the symptoms and effects of pain during laser tattoo removal procedures. The guide comes at just the right time, as searches for, “is tattoo removal painful” and, “how painful is laser tattoo removal” are currently on the rise. 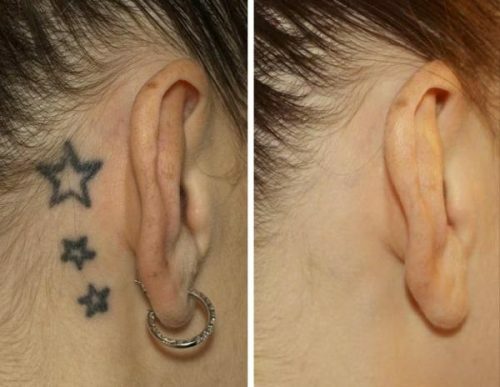 This may be due to hundreds of videos circulating around with testimonials from laser tattoo removal patients who have suffered great pain and side effects during a seemingly horrific experience attempting to rid the unwanted ink from their bodies. 6. Failure on the technician’s part to not prepare the skin prior to treatment, including thoroughly cleaning with alcohol to ensure there is no lotions, deodorant, self tanners, or make up on the epidermis before they perform the laser tattoo removal treatment.